Winds gusted over 50 and 60 miles per hour on Monday. 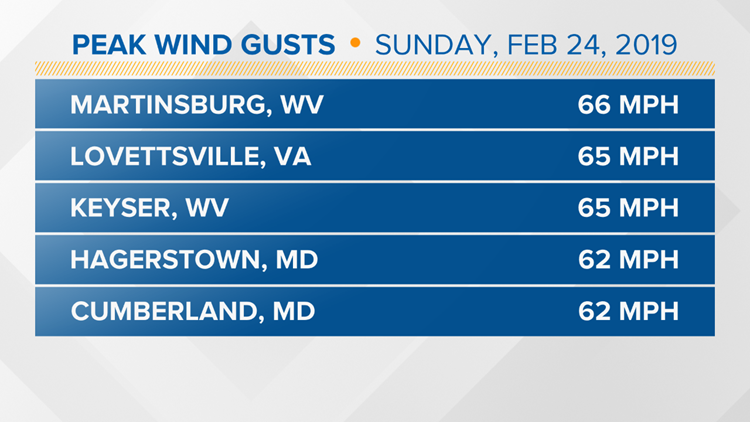 WASHINGTON — High winds were experienced across the D.C. area for more than 24 hours straight from Sunday, February 24th through Monday, February 25th. Here are the highest wind gusts per county.